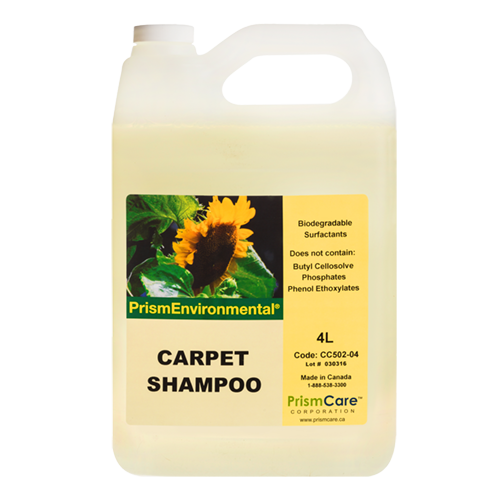 PrismEnvironmental® Carpet Shampoo is a concentrated formulation that penetrates deep into the pile and lifts out dirt and grime, restoring carpets to their best possible appearance. All organic ingredients in this product are readily biodegradable. It is non-combustible and does not contain butyl cellosolve, phosphate or phenol ethoxylates.